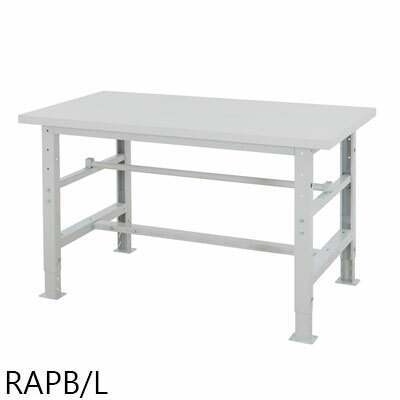 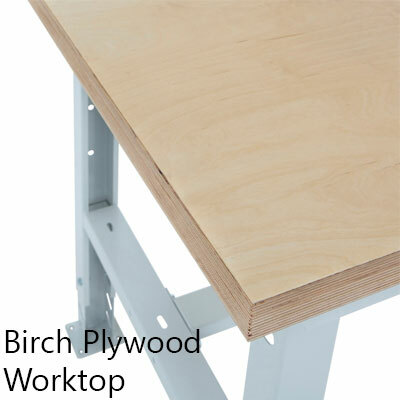 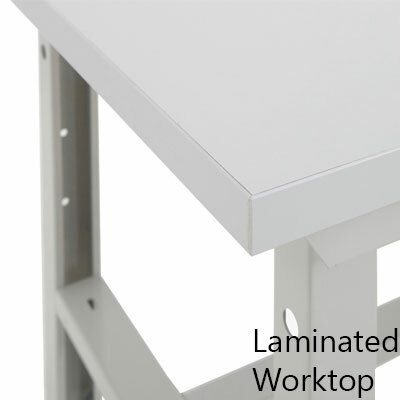 This height adjustable packing bench is perfect for use in packing operations and busy dispatch environments, to ensure processes are kept well organised and efficient. 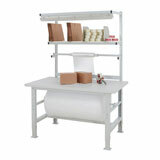 With an adjustable working height of between 765mm and 1030mm, the operators position and posture is kept comfortable for the packing process. 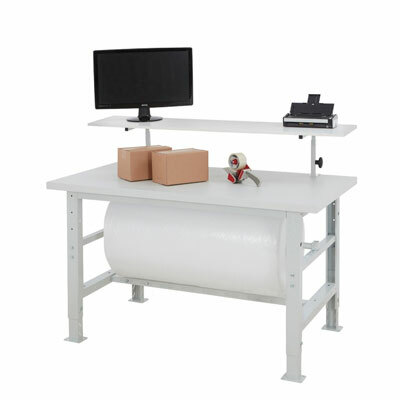 Each packing station is fitted with a packaging reel bar below the worktop, which will accept most tubular packaging materials such as Kraft paper rolls and bubble wrap. 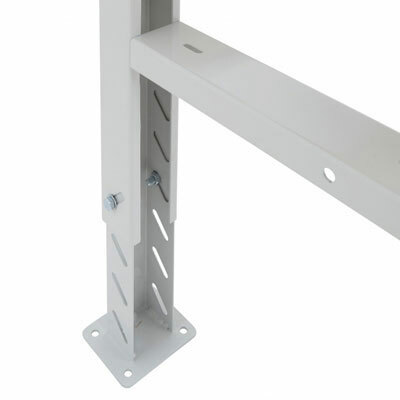 The upper shelf of the packing station is height adjustable to 3 heights and is ideal for displaying a PC monitor or printer whilst keeping it out of the way of the packaging process. 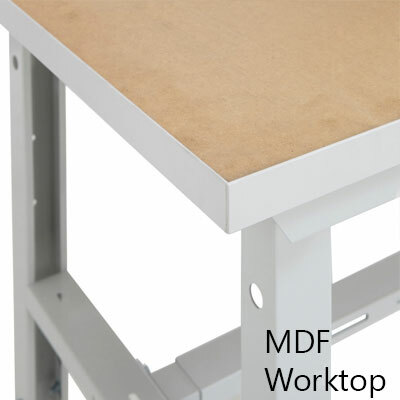 Manufactured from a steel framework and finished in powder coated grey paint, especially designed to withstand a fast paced working environment. 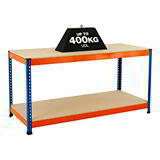 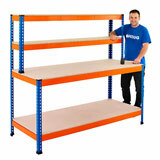 Maximum load capacity of up to 1200kg UDL.